USDA ARS Online Magazine Which Minerals Are in Microgreens? Which Minerals Are in Microgreens? 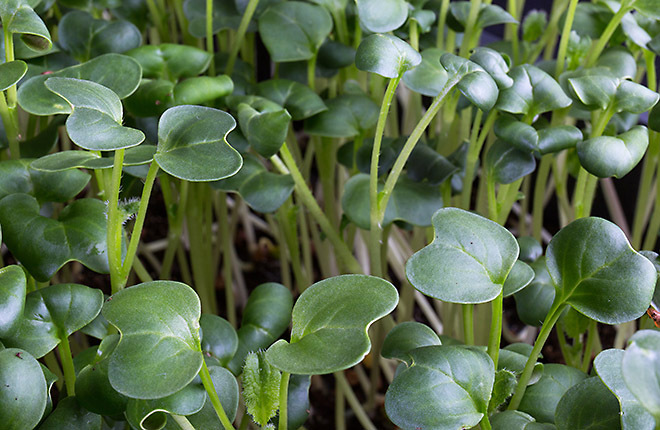 Luo headed a team of scientists at the Food Quality Laboratory in Beltsville, Maryland, that analyzed the mineral content of 30 different microgreen varieties donated by a commercial microgreen grower. Collaborating with Eton Codling, an agronomist from the Adaptive Cropping Systems Laboratory, and Zhenlei Xiao, a postdoctoral researcher working with Luo, the team focused on Brassica microgreens, such as arugula, broccoli, kale, radish, red cabbage, and wasabi. Brassica vegetables contain phytochemicals, vitamins, and minerals that are important to human health. The team analyzed the microgreens for levels of calcium, copper, iron, magnesium, manganese, phosphorus, potassium, sodium, and zinc. These minerals play crucial roles in various biological processes in both plants and animals. In humans, mineral deficiencies can cause metabolic disorders, organ damage, disease, and even death. For example, the importance of calcium and magnesium on bone health is well known, and deficiencies in these minerals can lead to osteoporosis. Luo’s research team found that mineral concentrations varied among the different microgreen types. The most abundant element found in all the microgreen samples was potassium, followed by phosphorus, calcium, magnesium, and sodium. Potassium values were highest in wasabi microgreens and lowest in daikon radish microgreens. Vegetables are rich sources of vitamins, minerals, and dietary fiber. Studies of the nutrient profile of these and other foods helps consumers meet their dietary goals. This research was published in the Journal of Food Composition and Analysis in 2016.—by Sharon Durham, ARS Office of Communications. 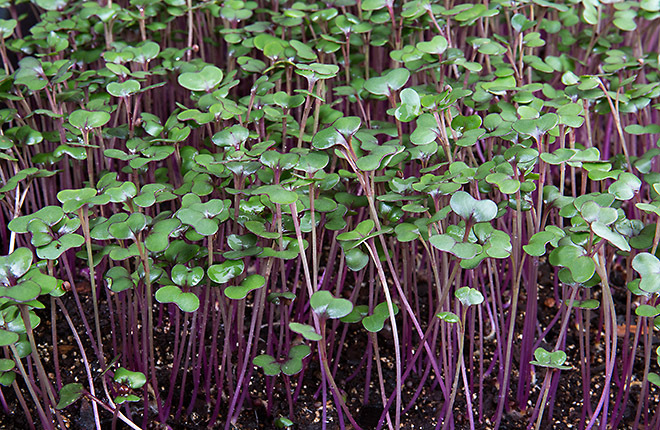 Microgreens are food plants harvested as tiny seedlings. 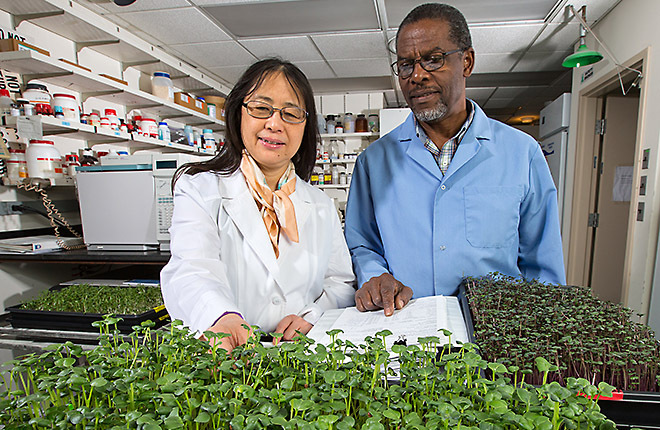 ARS scientists analyzed nutrients in 30 microgreen varieties. Knowledge of nutrients helps us meet dietary goals.